Home » Interviews » INTERVIEW: Matthew Kressel (KING OF SHARDS) Talks Lamed Vav, the Myth of the Shattering of the Vessels, and Other World Building Influences. Matthew Kressel is a multiple Nebula Award-nominated writer and World Fantasy Award-nominated editor. His novel, King of Shards, debuts October 13, 2015 from Arche Press, an imprint of Resurrection House. His story “The Meeker and the All-Seeing Eye” was a 2014 Nebula Award nominee for Best Short Story. His story “The Sounds of Old Earth” was a 2013 Nebula Award nominee for Best Short Story. The story also made the 2013 Locus Recommended Reading List. 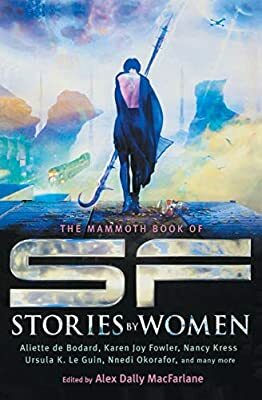 His short stories have or will appear in such publications as Lightspeed, Nightmare, Clarkesworld, io9.com, Beneath Ceaseless Skies, Interzone, Electric Velocipede, Apex Magazine, and the anthologies Naked City, After,The People of the Book, and The Mammoth Book of Steampunk, as well as other markets. In 2011 Matthew was nominated for World Fantasy Award in the category of Special Award, Non-Professional for his work editing Sybil’s Garage. In 2003 he started the speculative fiction magazine Sybil’s Garage, and the stories and poetry therein have received multiple honorable mentions in the Year’s Best Fantasy & Horror. Under the rubric of Senses Five Press, Matthew published Paper Cities, which won the 2009 World Fantasy Award for Best Anthology. Matthew co-hosts the Fantastic Fiction reading series at the famous KGB Bar alongside veteran speculative-fiction editor Ellen Datlow. The monthly series highlights luminaries and up-and-comers in speculative fiction. Matthew has been a long-time member of Altered Fluid, a Manhattan-based writing group. He is also obsessed with the film Blade Runner. When he’s not writing, Matthew designs websites, which he has done for Stanford University, Columbia University, the magazines Weird Tales, Fantasy, and Beneath Ceaseless Skies, writers Genevieve Valentine, Nicholas Kaufmann, Chris Willrich, and many others. He has coded applications and websites for ADP, Alliance Bernstein, and Nikon, among others. He also administers office computer networks. Segments of Judaism speak of thirty-six righteous men, upon who shoulders the very world rests, whose role in life is to justify the purpose of humanity to God. Called “Tzadikim Nistarim“, “Lamedvavnik” (Yiddish) or simply the “Lamed Vav” (the Hebrew letters Lamed and Vav have numerical values that add up to 36), the identities of these thirty-six are unknown to their fellow man, and they themselves do not know that they are Lamed Vav. Some interpretations say they are modest, hard-working and upright citizens of the world, and through their righteous acts, prove that humanity deserves to exist. Other readings say that come out of anonymity in times of crisis, help to avert and then return to concealment. And several of the legends say that if one, or sometimes all of the Lamed Vav were to be taken, the world would end. It is on this and other Judaic myths that Matthew Kressel has based King of Shards, the first novel in his Worldmender Trilogy. Matthew was kind enough to be interviewed about his influences and his book. A hidden saint who could be anyone, including ourselves, is a powerful guiding dogma to attempt to convince folks to always act if that saint is around them and needs to be treated with respect and even protection. Treat yourself and others with love, honor and respect is not a bad credo to live by (/sentimentality). “What are the Shards?” Rana said. “I am,” Ashmedai said. “The Shards are broken universes, shattered eons ago, by the Creator, she who exists beyond all ken. There are countless Shards. Most are uninhabitable. But on many of them live sentient beings — demons and humans — who live torturous lives. Were it not for the waters of life dripping from the Earth, the Shards would dry up. If you destroy the Lamed Vav, as Mashit hopes to do, the Earth shatters, and the Cosmos will die. “This is why I’ve gathered you all here! Mashit commands the Legion of the First, a fearsome demon army. She and her allies have killed two Lamed Vav. They will soon destroy a third. One by one, they remove the pillars of Earth. There is an order, and it must be followed. “If they kill enough, soon the foundations of the“Earth will crack, and the water of life will pour out. The Upper World will crumble, destroying the Earth. The sustaining waters will cease, and the countless Shards that depend on Earth for life will wither and die. “But that won’t be the end of you and me. Though all the worlds will dry up, our souls will persist. We will be conscious long after our bodies turn to dust. Trillions of lost souls will drift across the Great Deep, a sea of limitless nothing. And after a trillion, trillion, trillion years of untold suffering, the Great Deep will close, swallowed once and for all by the Creator’s light, finishing the cycle of creation forever. LK: A character whose chief trait is humility is a difficult character to write. What challenges did you find in writing Daniel, the protagonist of your story? MK: Yes, I think that’s part of the guiding force of the myth: you never know if the person with whom you are speaking is responsible for upholding the world, so treat everyone as if they were such a saint. Writing Daniel was difficult, as you’ve noticed. I couldn’t just have him acting kind and humble throughout the novel. While that makes for a nice person in real life, it’s not as interesting as say a scoundrel or a thief or a bravado type. Daniel had to change. In one of the versions of the Lamed Vav myth, if you discover you’re a Lamed Vanik, you immediately die. Obviously that wouldn’t work for my story — what fun is it if one of your central characters drops dead the moment things get interesting? Instead, I forced Daniel to confront the darkness within himself. Ashmedai continually challenges Daniel’s notions of “good vs. evil.” Daniel struggles for what he believes is right — I never wanted him to lose his sense of morality — and yet I had to continually challenge his preconceptions. I found myself questioning some of my own assumptions as I wrote him too. LK: There are several books in other genres that have the Lamed Vav as central to the story. Have you read any of these? MK: Yes, I’ve read many. One of my favorites is The Last of the Just by André Schwarz-Bart, about a line of Lamed Vavniks leading up to the Holocaust (in his book the Lamed Vav inherit the role from their fathers). It’s a slow build, but the ending is brutal and moving and is one of the best books I’ve ever read. I also really enjoyed Michael Chabon’s The Yiddish Policeman’s Union. It’s a clever noir detective novel immersed in a fictional Yiddish-speaking Alaska, and features a character who may be one of the hidden righteous ones. LK: A lot of the world-building is taken from the Kabbalah, isn’t it? There are many many studies/interpretations. Which ones did you utilize for your world-building? MK: The book is primarily based on two myths. The Lamed Vav, of course, and the myth of the Shattering of the Vessels. In the latter myth, ours wasn’t the first universe to be created. God created others, but they displeased him, and so he smashed them. These fragment pieces, these “shards,” filled with God’s light, were flung to the far corners of the world when they shattered, and it is our job — by living righteous lives — to “raise” these sparks back to holiness. This concept is known as Tikkun Olam or the Repair of the World and was introduced by Rabbi Isaac Luria, known to his disciples as the Ari, in the 16th century. It is often referred to as the Lurianic Kabbalah. I thought a lot about this myth and wondered, what if those primordial worlds weren’t empty? What if God created beings on these worlds before he smashed them? One of the elaborations of the myth states that evil forces “cling” to these shards or husks of the primordial worlds, that our sinful acts give them power. I began to imagine a race of primordial beings on these first worlds: the race of demons. Along comes God with his gargantuan fist and smashes their worlds to smithereens, because he saw they were imperfect creatures filled with too much anger and judgment. In King of Shards, I call this moment the great “Shattering.” Many demons die, but a few survive, clinging to these fragment husks — the Shards — and make homes there. The Shards are broken universes populated with these tormented demons who struggle daily to survive. Their worlds are incomplete, and they look to Earth, which is still whole, with great envy and anger. There are other Judaic myths in King of Shards, plus some references to Assyrian and Babylonian myths. But I used these myths as jumping off points and never let them dictate the story. So while the novel is partly based on Judaic myths, it’s never constrained by them, and many of the myths in King of Shards are my own inventions. I have a fun time asking people if they can tell which are which. LK: In case the readers at home want to play: what Babylonian and Assyrian myths? LK: If you know, how many books will be in this series, and do they have names yet? MK: There will be three books total in the Worldmender Trilogy. They are King of Shards, and the follow ups are tentatively titled Queen of Static and Princess of Ashes. LK: What else have you written? What else are you working on? MK: I’ve published over two dozen short stories in various markets, including the Nebula Award-nominated stories “The Meeker and the All-Seeing Eye” and “The Sounds of Old Earth.” Right now, most of my time is spent working on Queen of Static, but I’ve been squeezing in a little time to write short stories. You can see my full bibliography here, with links to each story. I’ve been running a series on my blog called 36 Days of Judaic Myth, where I have been posting about different Jewish myths and folklore for 36 consecutive days. People seem to really like these posts. I’ve tried to post on topics that would be of interest to genre readers, such as demons, vampires, dybbuks, golems, the Kwisatz Haderach, and Vulcan salutes. You can check out the full series here. And I also wish to thank you for taking the time to interview me! It was fun, and I appreciate it!